The milkshake is the quintessential beverage for the American diner. These thick beverages are blended with scoops of ice cream and all sorts of lovely flavourings, doubling up as an indulgent dessert to go with burgers. 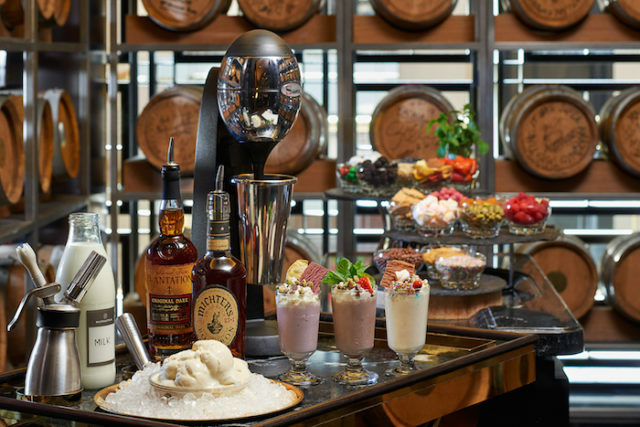 In the age of the ‘gram, these classic drinks have evolved into over-the-top monster shakes. Restaurants, diners and cafes alike are trying out creative ways of presenting these drinks with showers of sprinkles and cookies or mind-boggling flavours. Still, there’s more to a great milkshake than fancy garnishes. Take a sip of these new age and old school creations in Singapore and rediscover the nostalgia behind this ever-indulgent treat. 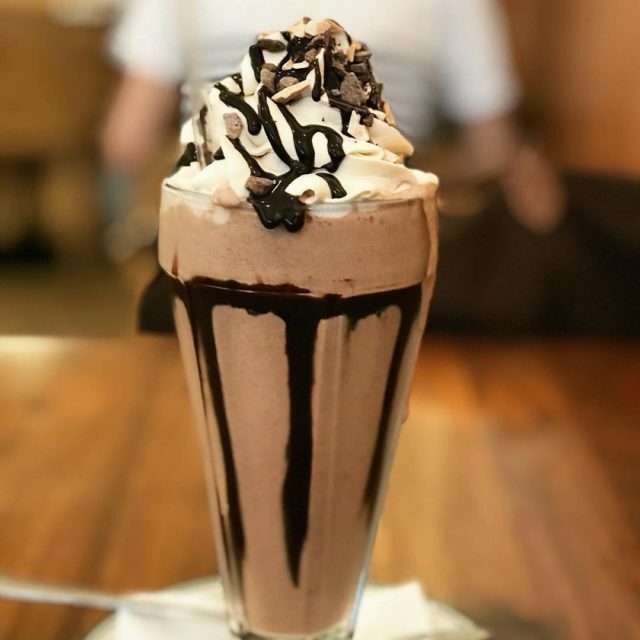 Burger bar 25 Degrees offers two types of milkshakes: a classic version with ice cream blended in and the malt shake with malt powder for a richer taste. The menu only has a few shakes but they are nonetheless creative. The Bobalicious, for example, is the restaurant’s crossover between the milkshake and its Asian counterpart, bubble tea, topped with boba pearls. If you’re not so much of a sweet tooth, the spicy Muy Chocoliente milkshake or the Chipster Shake (with blended potato chips) may better pique your interest. The mother of all milkshakes can be found at Black Tap. 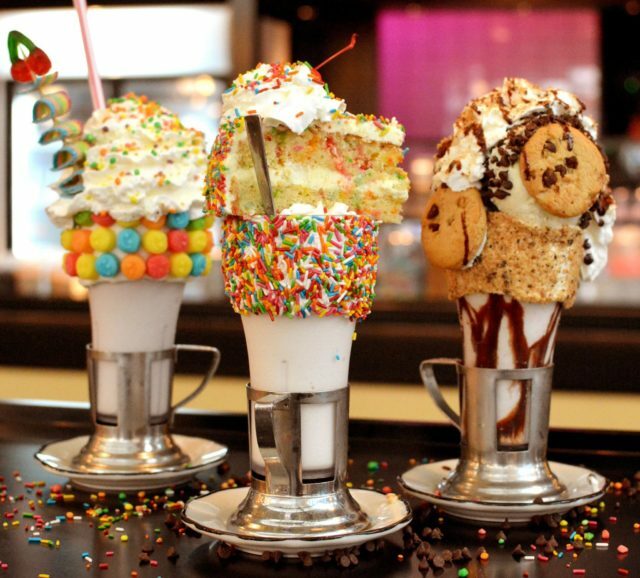 Each towering shake at this American burger restaurant comes with a truckload of toppings such as cotton candy clouds, cookies and even slices of cake. Black Tap even has a bar dedicated to these gravity-defying milkshakes where diners can see each drink getting stacked up carefully. One of the most popular drinks on the menu is The Cake Shake which comes with a vanilla frosted rim with rainbow sprinkles and a funfetti cake slice teetering off the edge of the mug. There are ‘normal’ milkshakes to go for, but where’s the fun in that? Manhattan Bar’s Adults-Only Sunday Brunch is on our list of must-have champagne brunches for their seafood, delicatessen and roast stations. 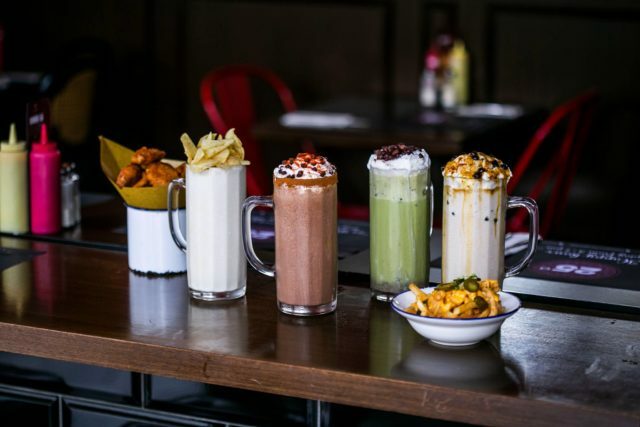 In addition to all of this, there’s a live milkshake station where diners can customise shakes with various flavours and toppings such as marshmallows and gummies. But the cherry on top here is having the choice to have it spiked with Plantation rum or Michter’s whiskey to keep you happy through the afternoon. Plus, you can definitely trust bartenders from one of Asia’s best bars to make this combination work. This American diner doesn’t have crazy milkshakes with a multitude of fancy garnishes. But this is the place to be at if you’re looking to enjoy a classic shake. Clinton Street Baking Company goes for the tried-and-tested recipe of premium ice cream, fresh fruit, sauces and a good swirl of Chantilly cream. The Chocolate Peanut Butter, dressed in salted peanut butter sauce and gooey chocolate fudge, is a hot seller here. If you’re up for it, add in a shot of bourbon for an extra $5. If you’re in for a trip down memory lane, look out for the old-school Steeples Deli in Tanglin Shopping Centre. 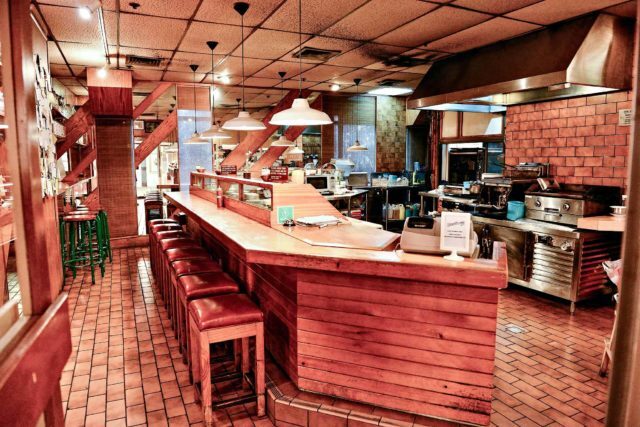 We love the 80’s vibes here with those vintage counter seats, brick walls and green chalkboards still in place. Steeples goes for traditional milkshakes as well with classic flavours like cookies & cream and the shamrock – a green, mint-flavoured drink of the 70s. The perfect place to share a milkshake on a date.